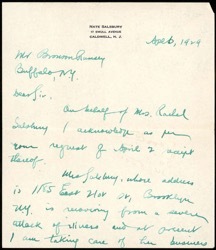 On behalf of Mrs. Rachel Salsbury I acknowledge as per your request of April 2 receipt thereof. 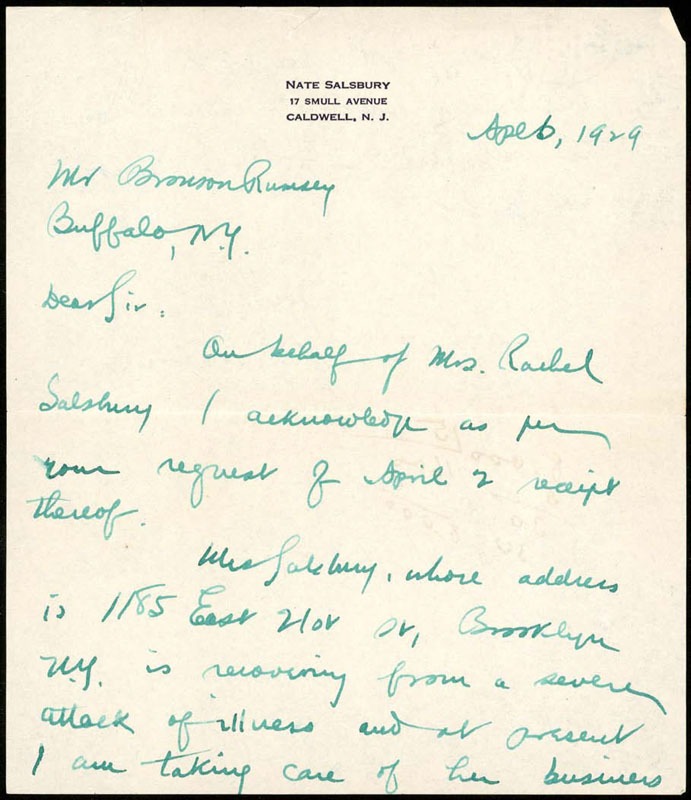 Mrs. Salsbury, whose address is 1185 East 21st St, Brooklyn N.Y. is recovering from a severe attack of illness and at present I am taking care of her business matters. 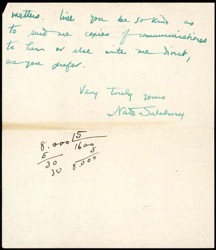 Will you be so kind as to send me copies of communications to her or else write me direct, as you prefer. 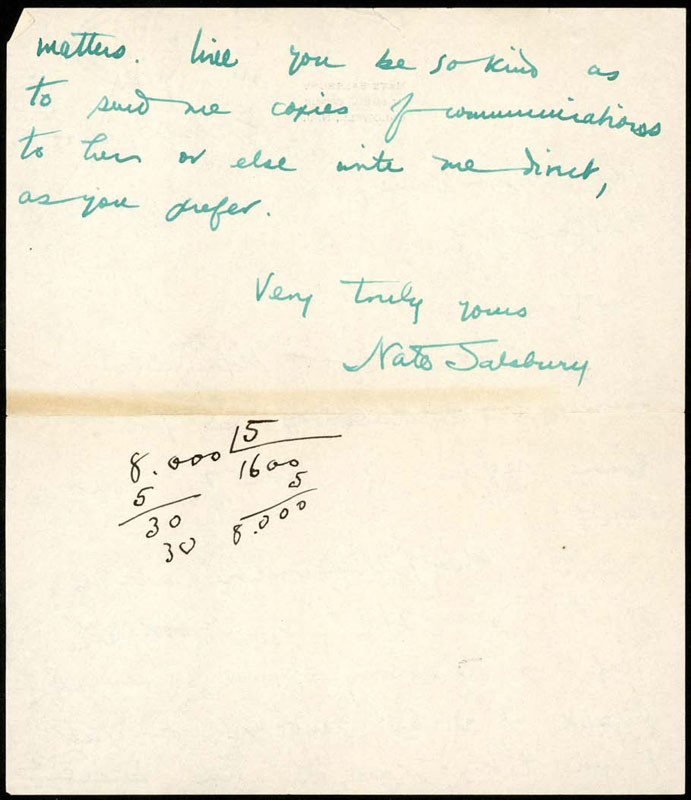 Note: Business correspondence from Nate Salsbury (son) to Bronson Rumsey on behalf of Rachel Salsbury, wife to Nathan Salsbury, deceased.